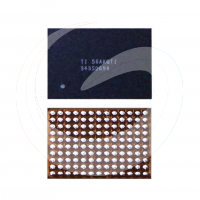 U2402 Black Touch Screen IC For iPhone 6 / iphone 6 Plus IMPORTANT : This is not motherboard for your phone, its a small ic as soldered on motherboard. Please note this requires soldering and professional skills to fit on motherboard. IMPORTANT : This is not motherboard for your phone, its a small ic as soldered on motherboard. Please note this requires soldering and professional skills to fit on motherboard.